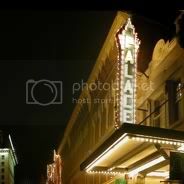 Every night approximately 1,000 people pack Manchester, New Hampshire’s Palace Theatre for shows ranging from The Producers to Sweet Charity. Citizens Bank is a corporate donor, but this would seem a long way away from the media wave of nationwide scrutiny being cast on bank sponsorships. Nevertheless, while the spotlight’s on the big national banks and their multi-million dollar sports deals, there’s a regional footprint to the pain as well. Sports leagues and pro teams can generally survive the loss of a single major sponsor such as AIG or Citigroup. From Peoria to Portland the regional arts and cultural institutions of America’s medium-sized cities generally rely on the local, regional and community banks for an even greater share (in proportion) of sponsorship revenue. Since ticket sales don’t bring the revenue that sports teams see, theatres, for example, rely even more heavily on regional banks like Citizens, Fifth Third and even smaller institutions. While percentages vary depending on the institution, a conservative estimate of 10 up to 20% of sponsorship revenue may routinely be derived from regional financial services institutions. While regionals may be less volatile and risky than say… a Citigroup, there is no doubt that regional banks are feeling the pinch as reverberations from the financial meltdown sweep through America. In the wake of the current crisis, this could spell big trouble for theatres, art institutions and the like – especially when multi-year deals start expiring. While it would seem unlikely that sponsors will start unraveling current deals, renewals will almost certainly lag. Watching the shadowboxed logos before the curtains went up this weekend, it is still surprising to see a relative absence of national brands participating in the regional arts. Marketers it appears have yet to crack the regional sponsorship code (unless brokered by a local branch/regional marketing exec), despite the fact that countless studies have shown that efficacy and engagement on a local level can be much more memorable than national media buys. Deals are still done piecemeal, presumably because the consumer reach of regional sponsorships is too small to justify the extra time devoted to negotiation, execution and activation. We all like a one-stop shop, but if you could accurately measure the value of 30 regional theatre sponsorships under a single activation theme and local media spend, it would be interesting to take a look at the ROI comparison to a nationally televised one-off event (coming at roughly the same price tag as the aggregate spend of these regional sponsorships). Marketers know that local and regional sponsorship can deliver, in aggregate, macro-benefits – as a major brand marketer it’s just a matter of can you do it in a way that makes sense from a time and execution standpoint. At SponsorPitch, we’re working on ways to help you do that.